As stated in the focused ALD history review recently published in the Journal of Vacuum Science and Technology A, the Virtual Project on the History of ALD (VPHA) "in essence, continues the earlier ALD history activities of one of the current authors, whose results were published in a review article in 2005." 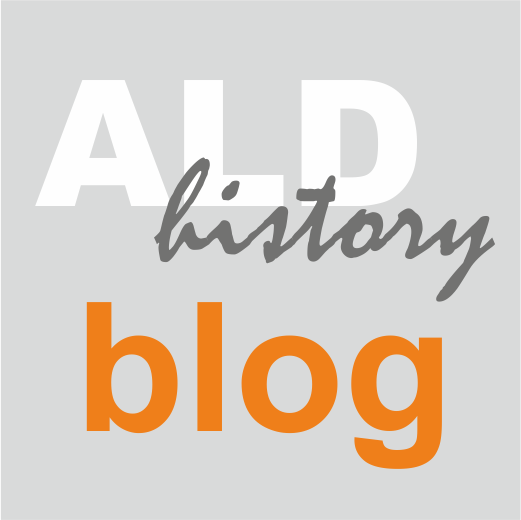 In this post, I wish to tell more of the background of the earlier ALD history activities mentioned: how they started and what they were. The earlier history activities are related to my own doctoral thesis (2002) and the postdoctoral time after that. Screen capture, R. L. Puurunen's doctoral thesis at the Aalto University library server, access through http://lib.tkk.fi/Diss/2002/isbn9512261421/. I made my Master's thesis in 1998 at Microchemistry, Espoo, Finland (nowadays part of ASM International), and continued for doctorate in 1999-2002 partly Neste and partly Helsinki University of Technology (HUT). Generalizing, the subject of my research was the surface modification of porous particles by atomic layer deposition for catalyst applications. Quite early on during my ALD research, I had heard that there are some old atomic layer deposition (then we called it atomic layer epitaxy, soon atomic layer chemical vapor deposition, and only after that, ALD) works made in the Soviet Union. In the Neste and Microchemistry environment, the people around me - Haukka, Suntola, and many others - knew something about the early works in ALD in Russia and were open about what they knew. The names Koltsov, Aleskovskii and Molecular Layering (ML) became familiar to me. As a doctoral student, working with particles, I did not have close connections to the two thin-film ALD labs in Finland of that time, namely the group of Prof Niinistö at HUT and the group of Prof Leskelä (later also of Prof. Ritala) at the University of Helsinki. In my doctoral thesis, I gave ML as an alternative term for ALD (http://lib.tkk.fi/Diss/2002/isbn9512261421, pdf overview, p. 15), but I did not name ML as an alternative origin of ALD. We know that ALD has been discovered independently twice, under different names: atomic layer epitaxy (ALE) and molecular layering (ML); see, e.g., my JAP surface chemistry review in 2005 and the VPHA JVSTA focused history review in 2017. Why did I not give Molecular Layering as an alternative origin of ALD yet in my doctoral thesis in 2002? The simple reason for not naming ML is that, in 2002, I had no information to cite otherwise. There was no reference source (review article / book chapter...) available that I was aware of in English (or Finnish) which would mention ML as an alternative origin of ALD, let alone to describe that ALD has been discovered twice. As a doctoral student concentrating on finishing my own work, I trusted what the review article authors and professors had said before me, and spread the same message as everyone else before me. After finishing my thesis at Neste and HUT, my next stop was a postdoctoral fellowship at IMEC, Leuven, in connection with K.U. Leuven in Belgium. I started as a postdoc at IMEC in the beginning of 2003 and ended in October 2004, when I moved to work for VTT in Finland. My work at IMEC considered high-k development for CMOS transistors, to replace the silicon dioxide gate oxide with a material of a higher dielectric constant. I participated in a large programme with many affiliates from top companies around the world - what a great experience this was! Later, ALD-made high-k dielectrics have been taken into production by the semiconductor industry. Although I did not give ML as an origin of ALD in my thesis, seeds of doubt had started growing in my mind during my doctoral work regarding the way that the history of ALD is described. A book chapter by Ritala and Leskelä published in 2002, for example, gave Molecular Layering as an alternative name to ALD, noting that it "dates back to old Russian literature". No references were given in the book chapter to look up, however. Things started to change when somebody at IMEC brought me a copy of an article called "Early work on atomic layer deposition cited", published in Solid State Technology in 2003, authored by Malygin and Smirnov. I do not remember who the person was who gave me this article, and I am not sure whether he/she gave it to me personally or just left the copy on my table. The article was a response to an article by a large ALD equipment vendor, published earlier in the same journal. The contents of the article were very much as the title says: references were given to some very early works on ALD, made in St. Petersburg, published under the name ML. With the seeds of doubt already grown in my mind since reading the book chapter by Ritala & Leskelä, this article had immediate impact on me. Can this be true what the authors say? Is this really the same as ALD? Is it really older than ALE? I had to find out by myself. --- The person who brought me a copy of the "Early work on atomic layer deposition cited" at IMEC: if you still remember this, please disclose yourself to me, I would like to know who you were. At the end of the "Early work on molecular layering cited" article, an email address was given of one of the authors, professor Malygin. I emailed Prof Malygin - this must have been in 2003 - and asked for copies of some of the early works mentioned. Malygin quickly responded to my email and his student sent me a zip file with scanned pdfs of some articles (acknowledgements for this can be viewed in the JAP 2005 review). I think to remember that I received copies of four publications, all in Russian. I printed the pages out and --- they were in no order! What a puzzle! I tried to sort them out, first without success. For a short moment, I thought --- is this how this search will end, before it really started, because I cannot sort the papers? I decided to continue until I find the solution; eventually, I was able to group the papers properly. Among the publications which I received was a conference paper by Shevyakov et al. The conference is from 1965, proceedings published in 1967. Although I am certainly not fluent in Russian, I had studied some at HUT and I could read the letters and understand part of the text. The chemical symbols are the same in all languages and terminology sometimes sounds similar, which helps understanding. (First, I read the Russian version of the article; later, I got hold of an official English translation, too.) This publication convinced me that I have found answers to my two questions, and they are "yes" and "yes". ML is the same as what I know as ALD, and the first works are older than the ALE invention. 2. Interaction of titanium and germanium tetrachlorides with hydrated silica, Shevjakov et al., 1967 This is a conference proceedings paper by Russian authors, dating from a conference in 1965, originally published in Russian (1967), and thereafter translated and published in English.38 All the basic practical requirements of ALD can be identified: separate, saturating chemisorption reactions of TiCl4 and H2O or GeCl4 and H2O, absence of physical adsorption, purging of the reaction by-products by inert gas (in their case, O2), and repeated reaction cycles (up to ten for TiCl4-H2O to make TiO2). Cycles are denoted as “exposure-purging-hydrolysis-drying,” and this sequence is repeated. Silica gel was treated with TiCl4 and GeCl4 at 180 °C in air (pressure was not mentioned) and after the treatment the surface was treated with water vapor as long as HCl was released. This treatment (cycling) was repeated ALD-wise up to ten times. The products were characterized by elemental analysis, XRD, and IR spectroscopy. The amount of Ti and Ge increased with the number of ALD cycles, while the mass-percent increment decreased with the cycles (this is as expected for the coating of porous materials2). XRD showed anatase reflections after four cycles and GeO2 reflections after six cycles. In IR, vibrations belonging to TiO2 and GeO2 can be seen in samples with the thickest films. On the basis of the four articles which I had received by Malygin and his student, I continued searching for more articles with ISI Web of Science. IMEC had the rights to search also for publications in the 1960s, so I had access to the initial ML works, too. I ordered numerous copies of articles through IMEC's library. The librarians did an excellent work in finding the article and they never complained of me sending too many requests. Warmest thanks and greetings to the librarians at IMEC! During the search for early Russian literature, I found that (1) there is a lot of literature to find, (2) many of the works have been translated into English (opposing the statement which I have heard so many times that "the publications were only available in Russian"), and (3) one does not find all works with a consistent name such as ML (Molecular Layering), but that many alternative names have been used, especially in the English translations but also sometimes in the Russian original works. I searched for more articles e.g. with author names, and I kept on finding more and more. I realized that as a single person for whom the history of ALD is not the main subject of study, I cannot possible find and go through all this early ALD literature just by myself. At some point, I decided that I have found enough material to convince the world that this is really ALD, that the works are significant, and that the works should not be overlooked. I summarized my findings in a table of a review article which I was working on. The writing and publishing of the review article is another story by itself (it includes a rejection, too); eventually, the article was published in Journal of Applied Physics / Applied Physics Reviews in 2005 (J. Appl. Phys. 97, 121301 (2005). Despite the fact that the title of the review article may not have been optimally descriptive (related to the story), the review was soon found by ALD researchers around the world. It even became for many years the world's most cited ALD review. Only in 2014 did a review article by Prof Steven George from 2010 overtake this position. Noteworthy regarding the progress of understanding the history of ALD is that the review article by George does not mention ML as an origin of ALD but solely points to Atomic Layer Epitaxy as ALD's starting point. In 2013, Prof. Gregory Parsons with many prominent co-authors published in JVSTA a review article on the history of ALD and its relation with AVS. Positively, here, ML is mentioned as an origin of ALD. Unfortunately, there is no description of two independent inventions in this review article; rather, an impression is given of a more continuous worldwide development (this description is in many ways similar as was available in Wikipedia in the Atomic Layer Deposition page at that time --- the Wikipedia text has since then been changed.) Furthermore, this review leads one to think that ML research did not involve any research on planar substrates. The JAP 2005 review had already presented evidence of ALD studies on a broad variety of substrates including silicon and germanium (see Table 1 of the review). The JVSTA VPHA focused review in 2017 further gave examples of studies on planar substrates in the recommended reading list. In 2013, just before the publication of the Parsons et al. article, VPHA had been initiated (it all started from LinkedIn). I learned of the coming "ALD history review" at the ALD 2013 meeting in San Diego. Will VPHA still be needed, I thought; did they do the work already? After the article was published, it was evident that the need for VPHA had not disappeared. In 2002, in my doctoral thesis, I presented ALE as the sole origin of ALD. After reading the Shevyakov et al. 1965 paper, I understood that my thesis was misleading in this respect, just as the review articles before (and many after) had been. I felt guilt. In the JAP 2005 review article, I gave high visibility for the Molecular Layering works, trying to correct for the mistake of disregarding the ML works in the scientific ALD literature. I hoped that, after the JAP 2005 review, others would continue the search to find more information of the early days of ALD. Although my review was published in a high-impact journal and it has for someone like me (with a regular researcher position until 2017) gained an unbelievably high number of citations, one goal was not fully reached, at least not as quickly as I wanted. For many years to come, the scientific ALD community largely continued to cite ALE as the sole origin of ALD (with some exceptions). With VPHA, things are finally changing. People have become aware of the early works and read them by themselves and use the information they find. Essays written in the VPHA framework in detail shed light to the early days of ALE and ML. In summer 2016, Prof. Malygin gave a plenary talk at the ALD 2016 conference. Unlike myself in 2002, doctoral students and other scientists now have written sources to cite. Significant progress has taken place; still, the ALD history work is quite not completed yet. We still need more comments in the ALD-history-evolving-file, especially regarding publications in Russian which have not been translated (yes, there are such, too). Also, we would need more people with a particle ALD background to participate. We are also collecting information of ALD-containing doctoral theses worldwide up to the end of year 2016, and we are missing information at least from Japan, where active ALD research started in the 1980s. The Introduction and invitation to participate in VPHA is still valid. If you would like to join this VPHA open science effort carried out in atmosphere of Openness, Respect, and Trust, please email info@ vph-ald.com (delete the space). R. L. Puurunen, review article, “ Surface chemistry of atomic layer deposition: A case study for the trimethylaluminum/water process,” J. Appl. Phys. 97, 121301 (2005). M. Ritala and M. Leskelä, book chapter, “ Atomic layer deposition,” in Handbook of Thin Film Materials, edited by H. S. Nalwa ( Academic, San Diego, 2002), Vol. 1, pp. 103–159. A. A. Malygin and V. M. Smirnov, “Early work on atomic layer deposition cited,” Solid State Technol. 45 (2002) 14. S. M. George, review article, “Atomic layer deposition: An overview,” Chem. Rev. 110 (2010) 111. Discussion chain in LinkedIn in the group “ALD–Atomic Layer Deposition” entitled “What are the ‘Molecular layering’ papers by Koltsov from ‘early 1960's’?,” initiated on 6 May 2013, https://www.linkedin.com/groups/1885076/1885076-238399494. R. L. Puurunen, "A Short History of Atomic Layer Deposition: Tuomo Suntola's Atomic Layer Epitaxy", Chem. Vap. Deposition 20 (2014) 332-344. Published with open access. Invited plenary talk "Structural-size effects in the products obtained by the molecular layering method and their application", by Anatolii Malygin at 16th International Conference on Atomic Layer Deposition (ALD 2016), July 24-27, 2016, Dublin, Ireland. Abstract. Slides. Travel report. Travel notes from ALD 2016: http://aldhistory.blogspot.fi/2016/07/ald-2016-travel-notes.html.